This download contains a report by INCU Honorary Fellow and Advisory Board Member, Mr Lars Karlsson published in November 2017. This study, commissioned by the European Parliament’s Policy Department for Citizens’ Rights and Constitutional Affairs at the request of the AFCO Committee, provides background on cross-border movement and trade between Northern Ireland and Ireland and identifies international standards and best practices and provide insights into creating a smooth border experience. The technical solution provided is based on innovative approaches with a focus on cooperation, best practices and technology that is independent of any political agreements on the d offers a template for future UK-EU border relationships. 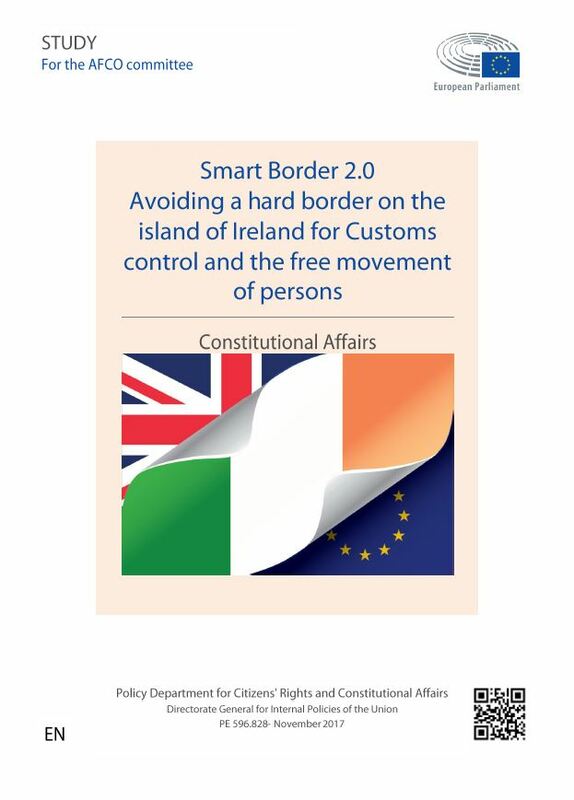 Lars Karlsson, (November 2017) “Smart Border 2.0: Avoiding a Hard Border on the Island of Ireland for Customs Control and the Free Movement of Persons”, Directorate General for Internal Policies of the Union, Brussels.